Ongoing 2019 climate disruption is fast and furious. Abrupt climate system change cares not about human affairs, structures, politics, our livelihoods, and our precious but precarious civilizations. Disruption accelerates at ever faster rates wreaking havoc on our lives, with huge consequences. Media coverage on climate disruption, weather extremes, etc. in the main-stream is better, but often inaccurate; while risks and consequences are significantly downplayed. This is the second of three videos, continuing on the same subject. 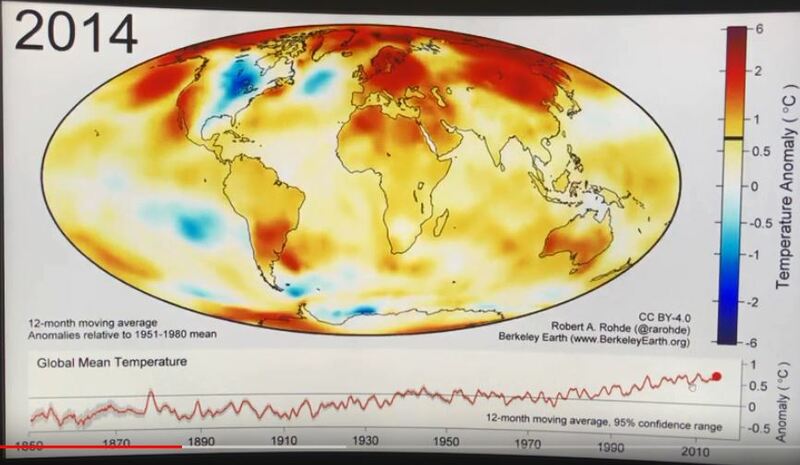 Here is also the link, to the Berkeley Data summary article, led by Dr. Robert Rohde: at BerkeleyEarth.Org. Link to mentioned animation, is also here. 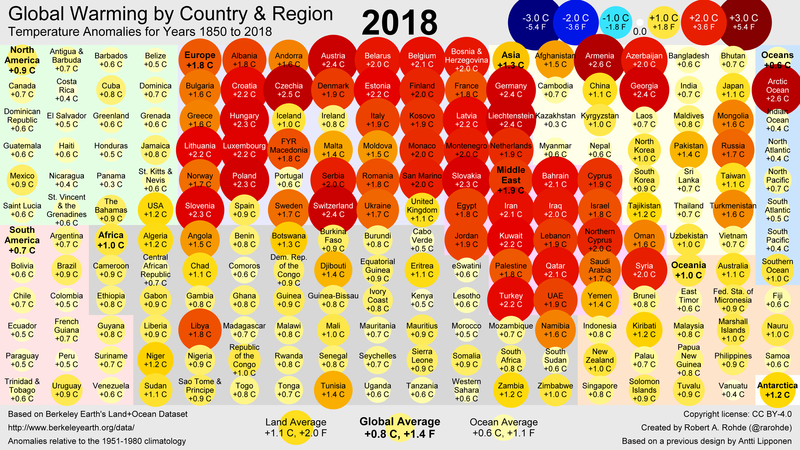 Update to the small multiples climate change map for 2018. All it takes to melt Greenland’s ice sheet is a surface temperature of 1 C and sunlight. 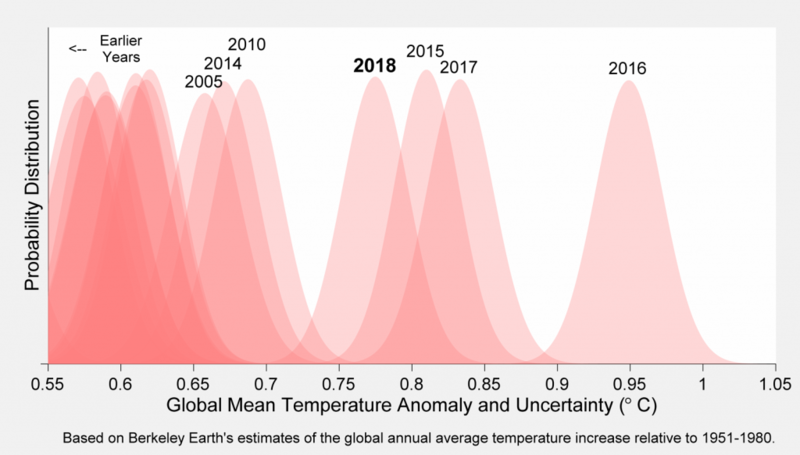 It is time for Berkeley Earth's look back on global temperatures in 2018. 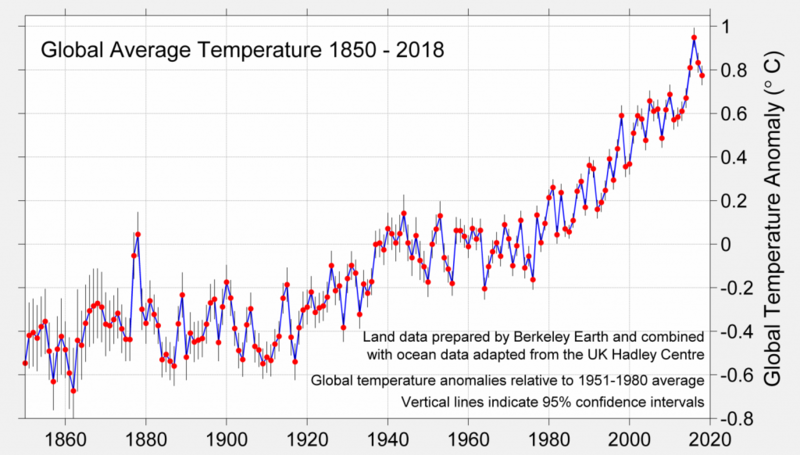 We conclude that 2018 was the 4th warmest year since 1850. 0.77 ± 0.04 °C warmer than the 1951-1980 average. 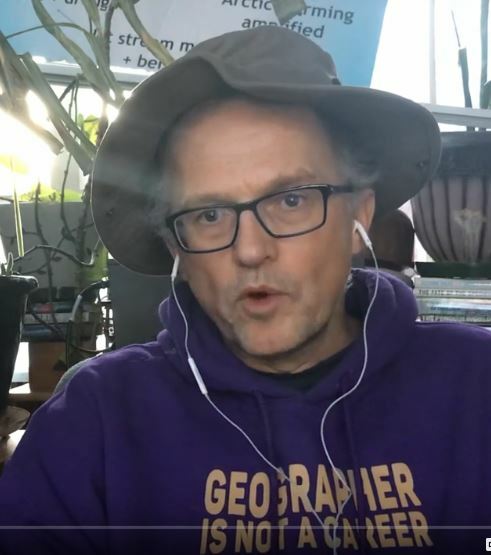 This entry was posted in Catastrophe, Climate, Climate Change, Global Warming, Rapid Climate Change, Science, Uncategorized, Warnings, Weather and tagged Berkeley Earth Org, Polar Vortex, Rapid Climate Change, z Australia, z Australia Heat Wave. Bookmark the permalink. It is never one thing. I follow a bakers dozen or so of climate scientists. I read all i can. THANKS PAUL, you do justice to the world with explaining the complex to the citizen.